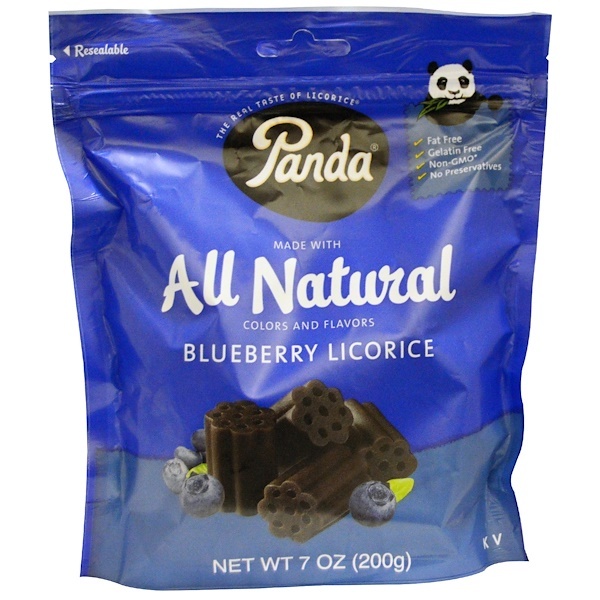 Since 1927 Panda has been producing licorice renowned for its unique flavor and softness. The secret of such delicious licorice lies in a careful production process rich in tradition and the finest ingredients inspired by the clean Finnish nature. Delicious Panda Blueberry Licorice is made with the real blueberries to create a mouth watering blueberry taste sensation. 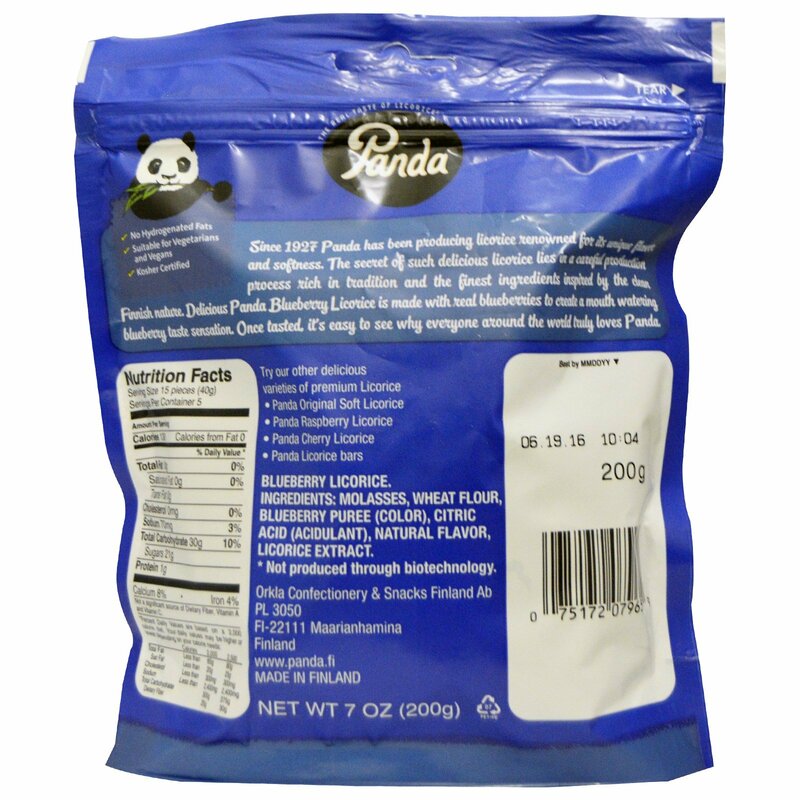 Once tasted, it's easy to see why everyone around the world truly loves Panda. Molasses, wheat flour, blueberry puree (color), citric acid (acidulant), natural flavor, licorice extract.